I saw this on a website. I had to try it. The Original Site no longer has the pic or instructions for this. So I had to wing it. 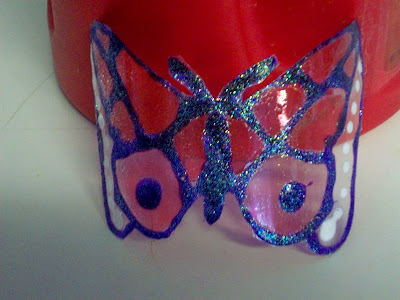 ( no pun intended) Basically I used transparent paint, and glitter over a taped image of a butterfly template. This is my first attempt. 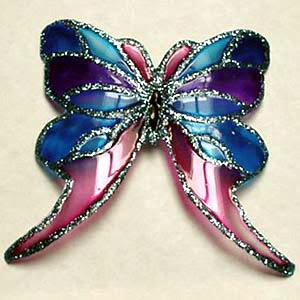 I kinda Like it, and am thinking about other critters or flowers. 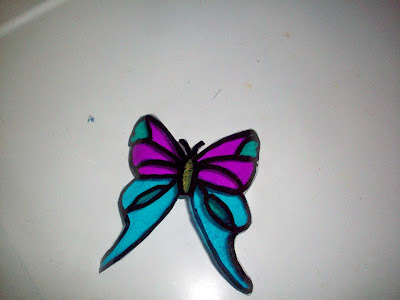 This one I used sharpies. 10 Cough Remedies & Treatments.